Sunday will mark 26 years since a then-10-year-old Beers was rescued from an underground concrete bunker in Bay Shore, New York, where she had been held captive for more than two weeks by a family friend who’d lured her to his home with the promise of birthday presents. “It’s never going to be easy, but with the correct support, the correct people to talk to and people there who love you, she’s going to be able to survive and thrive,” said Beers, who was raised by a foster family after her rescue because of abuse she’d suffered within her own family before the kidnapping. 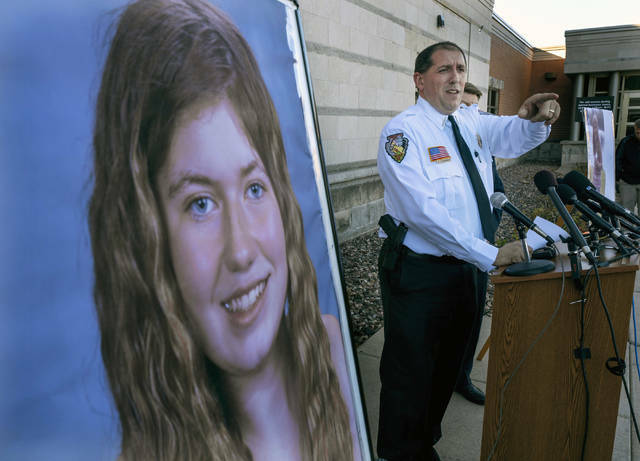 MADISON, Wis. (AP) — The grandfather of a northwestern Wisconsin girl who was abducted during a home invasion that left her parents dead said Saturday that the family has no connection to the suspect and doesn’t understand why he targeted her, deepening a mystery that has captivated the state for months. Someone blasted open the door of James and Denise Closs’ home near Barron in October, gunned the couple down and made off with their 13-year-old daughter, Jayme Closs. Jayme was missing for nearly three months when she approached a stranger in the small, isolated north woods town of Gordon and pleaded for help. Officers arrested 21-year-old Jake Thomas Patterson minutes later based on Jayme’s description of his vehicle. He was jailed on suspicion of kidnapping and homicide. Investigators have said Patterson’s goal was to kidnap Jayme, but he appears to have no connection to the family. Jayme’s grandfather Robert Naiberg said in a telephone interview Saturday that the only thing the family knows for sure is no one knew Patterson. He said that Jayme told FBI agents she didn’t know him at all. The news that Jayme was safe set off joy and relief in her hometown of Barron, population 3,300 and about 60 miles (96 kilometers) from where she was found. The discovery ended an all-out search that gripped the state, with many people fearing the worst the longer she was missing. “My legs started to shake. It was awesome. The stress, the relief — it was awesome,” Barron County Sheriff Chris Fitzgerald said, describing the moment he learned Jayme had been found. The sheriff said that he did not know whether Jayme had been physically abused. Patterson was scheduled for an initial court appearance Monday. 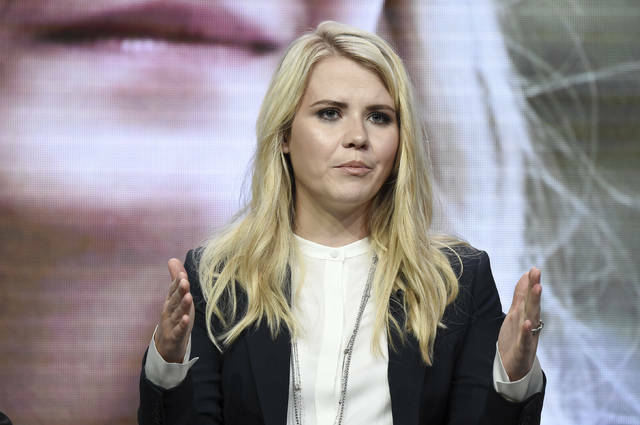 It was not immediately known whether the unemployed Patterson had an attorney. Prosecutors anticipate filing homicide and kidnapping charges against him on Monday. With those charges will come a criminal complaint that could reveal more details. Patterson remained largely an enigma Saturday. He graduated in 2015 from Northwood High School, where he was on the quiz bowl team and was a good student with a “great group of friends,” said District Superintendent Jean Serum. BARRON, Wis. (AP) — A young man suspected of killing a Wisconsin couple, kidnapping their teenage daughter and holding her captive for three months is expected to make his first court appearance Monday, and charging documents could shed light on why he targeted the girl. Investigators believe Patterson broke into James and Denise Closs’ home near Barron on Oct. 15 by blowing the front door open with a shotgun blast. Investigators allege he fatally shot the couple and abducted their 13-year-old daughter, Jayme. She escaped her captor late last week in a rural, heavily wooded area in northwest Wisconsin. Investigators say there’s no evidence of any online interactions between Patterson and Jayme. Her family insists they don’t know the man. 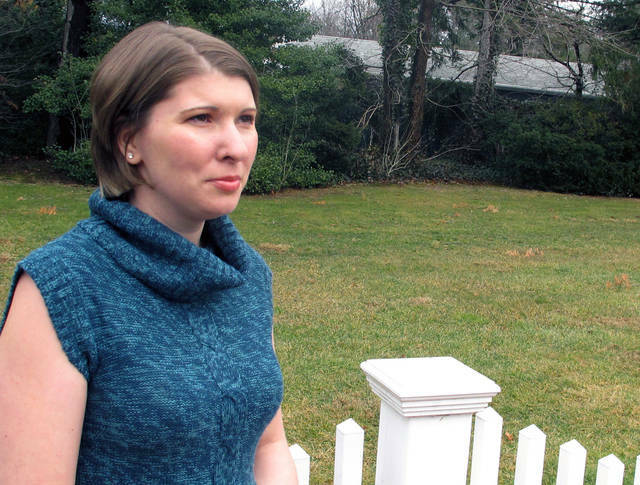 Her grandfather, Robert Naiberg, told The Associated Press that Jayme told FBI agents she doesn’t know Patterson at all.